Product Contents: Four Boxes. Each Booster Box contains 12 Booster Packs. 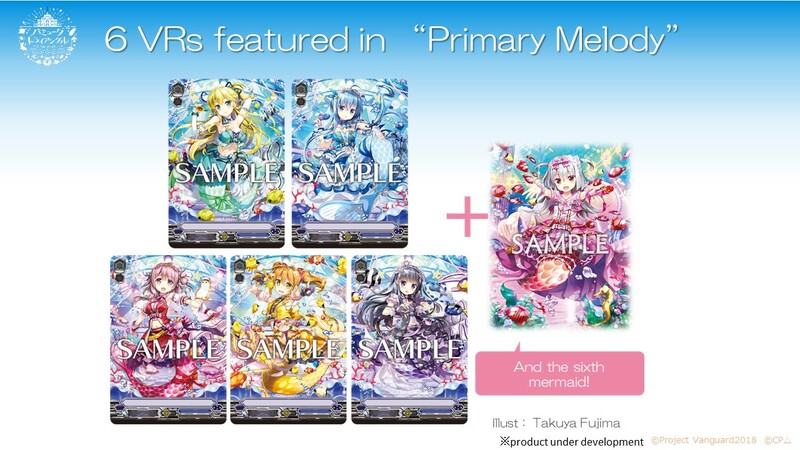 Each Booster Pack contains 7 random cards. 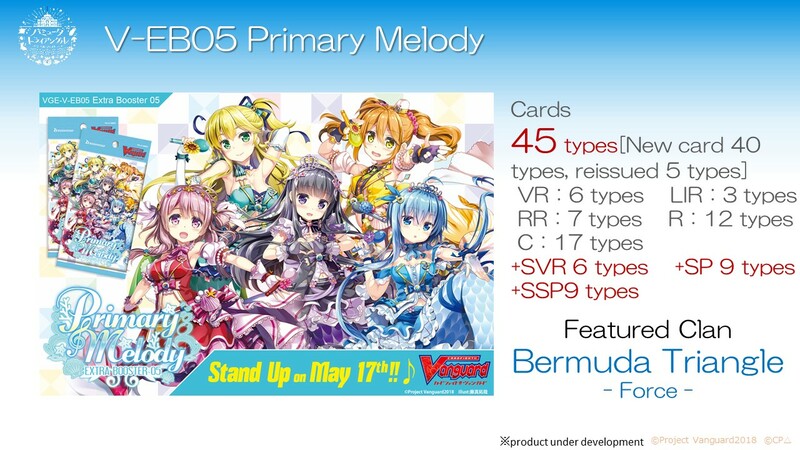 At least 1 card featuring a character from the “Bermuda Triangle ~Colorful Pastorale~” animation will be included in each box! 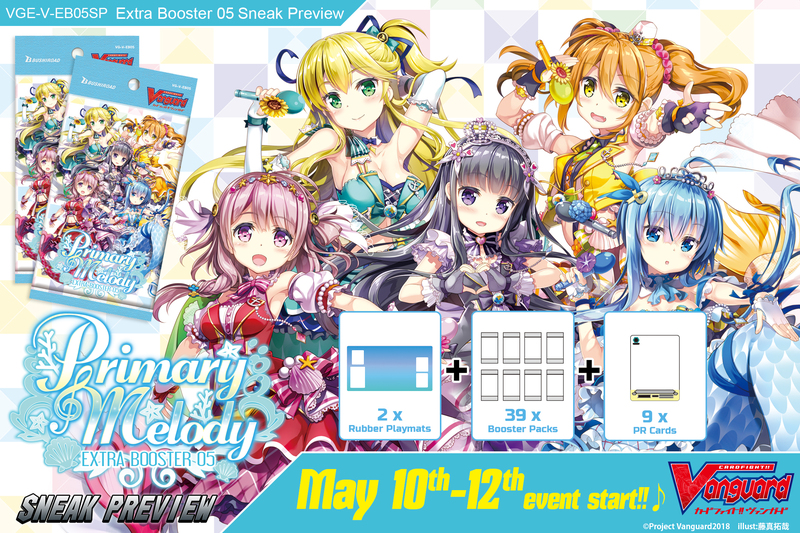 Strengthen the “Schokolade Melody” Trial Deck that releases on April 12th! Start your Cardfight!! Vanguard journey with a 《Bermuda Triangle》 deck! 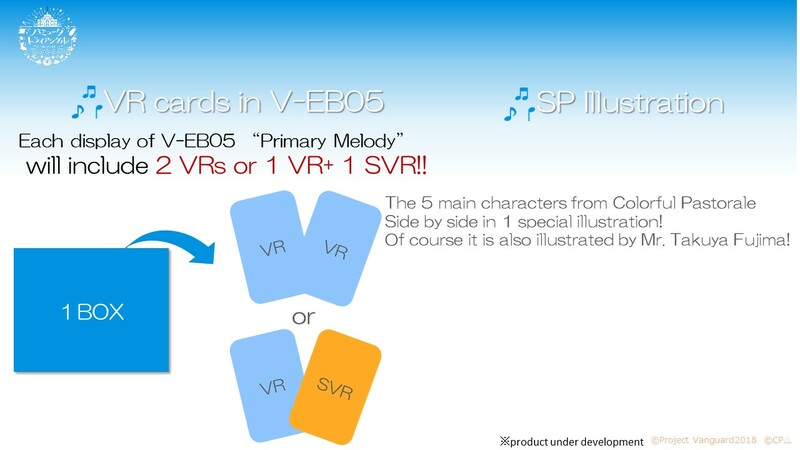 Stay tuned for more information about the parallel cards!